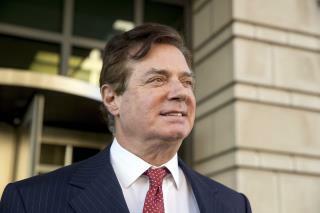 (Newser) – Paul Manafort's lawyers are pushing to get him out of jail to prepare for his upcoming trials, and their newly filed court documents reveal something of a surprise: President Trump's former campaign manager is being kept in solitary confinement for 23 hours a day, reports Axios. The reason? The Northern Neck Regional Jail in Virginia "cannot otherwise guarantee his safety," the lawyers write. What's more, the jail is about a two-hour drive for his defense team, and all of this "makes it effectively impossible for Mr. Manafort to prepare" for his trials on money laundering and bank fraud. The poor fella didn't obtain a "Free Get out of Jail" card? Thought such solitary confinement was considered cruel and inhumane even for the most depraved, sentenced criminals. Surely there is someplace closer and a safer environment for someone awaiting trial. Maybe the warden was worried that he'd be a bad influence on the murderers, drug dealers, and rapists also incarcerated there?